Thread: It's time that I introduced Bruiser! Well, I had to take some flat stock and rig up a support to bolt to the stock support. It works good! 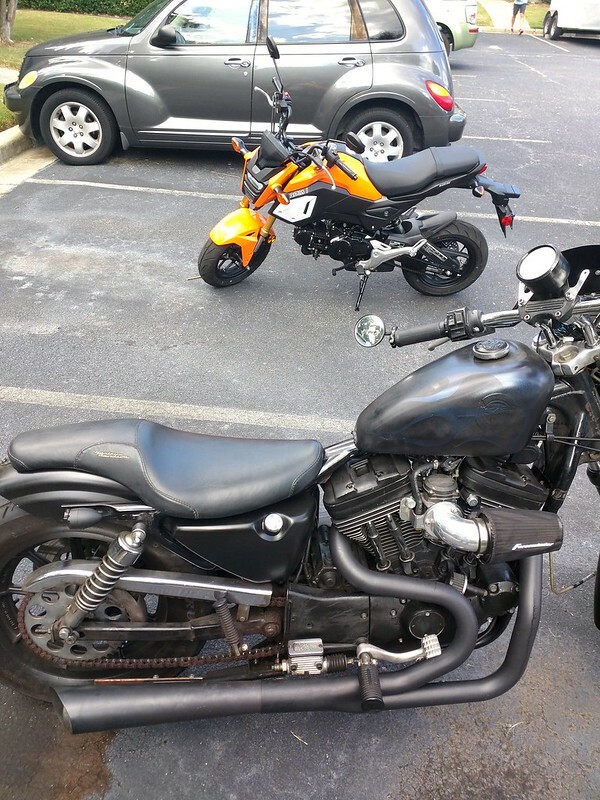 After parking Bruiser, the owner of the Grom walked by, commenting that my bike made his look small. Took it off last Friday and took it to my cousin to weld. I can't weld, but at least I have a cousin that can. He welded it, then cut off the part that wasn't needed anymore. Looks mucho betta! I definitely have done similar things in the past when you alter someone’s else’s design you become the engineer.